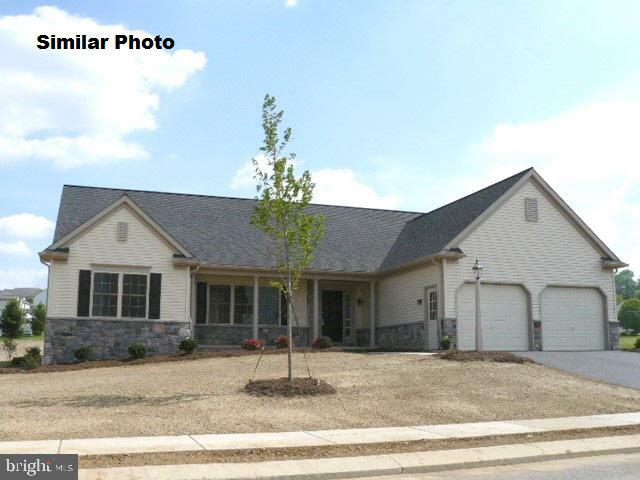 Build Job - 3BR, 2BA Brookfield 1-Story by EGStolzfus Homes. Designed and built to buyer's specifications and options. Hardwood floors in main living area including kitchen. Granite kitchen with upgraded painted cabinets and double oven. Living room with stone, gas fireplace. Master suite with deluxe bath featuring whirlpool tub, walk-in tiled shower and single bowl vanity with linen stacker. 1st Floor laundry room with pantry closet. Full lower level with egress access. Covered front porch with railing.